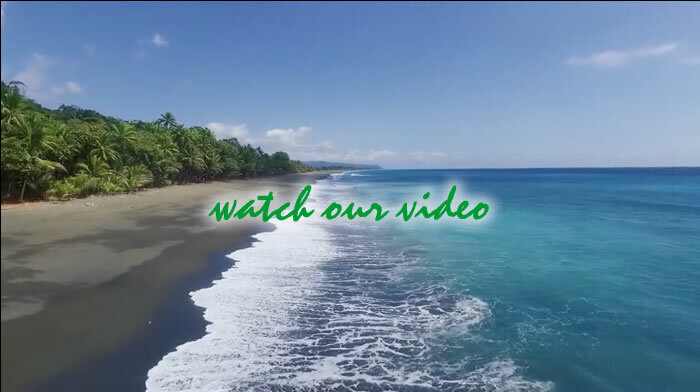 To LagunaVista lodge, our private wildlife refuge on the southwest Pacific Coast of Costa Rica. Sitting atop a small peninsular overlooking a freshwater lagoon and Playa Carate, LagunaVista lodge is a gateway to Corcovado National Park, one of the most bio-diverse places on our planet and a popular area for eco-tourists and researchers alike. The spectacular scenery and abundant wildlife on display in Corcovado National Park attract visitors from all over the world to this unspoiled tropical paradise. Carate beach, Pejeperrito Lagoon and Corcovado National Park are all easily accessible from LagunaVista. LagunaVista's villas, solar powered and eco-friendly, provide comfortable surroundings, plunge pools, and superior accommodation. From your villa deck, the rainforest, lagoon, coconut palms, beach, ocean and sky create endless layers of beauty. Kayak across our fresh water lagoon to a coconut tree beach. Watch marine, aquatic and rainforest wildlife on daily display. Whales and dolphins, turtles and toucans, caimans, spoonbills, monkeys and macaws... all can be seen at LagunaVista. Relax beside our infinity pool, the perfect ending to your day's adventures whether kayaking or surfing, hiking the Corcovado trails, rivers and waterfalls, bird watching, fishing, beach combing or horse riding. Or merely laze in your hammock watching pelicans surf the endless horizon. Welcome. You have arrived at LagunaVista.